At Charities Review Council, we not only review organizations using our co-created standards of nonprofit strength, but we also provide support and tools for our nonprofit partners to succeed. We view this relationship as a true partnership, working together to reach shared goals for success. Yet, from 2013-2016 we found that 86% of our nonprofit partners needed additional support in order to meet our Diversity, Equity and Inclusion (DEI) Accountability Standard®, which requires organizations to have an intentional conversation related to DEI at least every three years and set 2-3 goals for the board to track on. From the data, it was clear that our nonprofit partners needed a tool that was affordable, easy-to-use, and self-directed, to continue moving the needle in this area. We knew we needed to do something to support our nonprofit partners. So, we began work on what is known today as the Diversity, Equity & Inclusion Toolkit. Today, the Diversity, Equity & Inclusion Toolkit can be used across sectors, for organizations of all shapes and sizes, including our valued nonprofit partners. To learn more about our nonprofit partners’ experiences with the DEI Toolkit, we asked Peg Keenan, Executive Director at ICA Food Shelf, to share her key learnings to date. 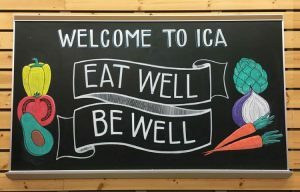 So, what has Peg and the ICA Food Shelf team learned so far? It’s vital to have the board on board. At ICA Food Shelf, they decided to approve a 3-5 year DEI Adaptive Strategy (i.e. Strategic Plan) to hold each other accountable. They put goals and measures in place to make sure that this work remained a top priority. There’s no end point when it comes to diversity, equity and inclusion work. For Peg and her team, understanding that there was no “hard deadline” was important. This work is an everyday work in progress. The Executive Director (CEO, President, etc.) doesn’t need to be the Project Champion. It’s okay to let someone else lead. In fact, the Toolkit encourages organizations to select an internal Project Champion who is trusted by peers and passionate about this work. At ICA Food Shelf, they identified a case manager as their Project Champion and have assembled a Champion Committee to support these efforts, which frees Peg up to “Cheerlead as an Executive Director.” Go, team, go! What learnings are ahead for you and your organization? Find out today by getting started with the Diversity, Equity & Inclusion Toolkit.